It takes a lot of paperwork to get a US Passport, but Passportinfo.com is here to help you make sense of all the pieces of the puzzle. 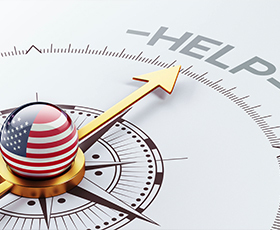 Our US Passport Help Guide breaks down every component of the passport request to give you the details you need to do everything right the first time. Our Passport Information section will help you determine which US passport service is right for you and will guide you to our comprehensive instructional pages. Here you’ll find every official passport application. No matter what type of passport service you need, you can quickly download the right passport application form to fill out by hand or fill out your application online and print out your completed form. Wondering how much this is going to cost? Visit our Passport Fee page for a full breakdown of all the standard fees and upgrade charges. 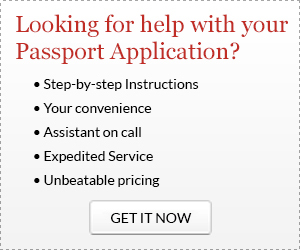 Learn more about the general requirements needed for all types of US passport services. When you apply for a passport, you will need to prove your identity by showing valid identification. Our Proof of Identity page will show you all the types of identification that are accepted. Your proof of US citizenship is the most important piece of evidence you will need to get your US Passport. Whether you were born in the United States or abroad, at home or at a hospital, we’ll give you all the details on how to prove your US citizenship. If you need expedited passport service, you’ll need to show proof of upcoming travel to demonstrate the urgency of your request. Incorrect passport photos are the most common reason that passport applications are rejected. PassportInfo.com will help you make sure your photo meets US State Department standards. The US government is particular about how US passport fees are paid. This page will tell you how you can make your payment. Need a passport for business travel? You may need to submit a letter from your employer. Visit this page for more information and sample letters. Learn about all the different types of US passport book, and discover which one you will need for your travel. Planning on an international road trip? If you are going to drive in a foreign country, we’ll show you how to use your valid state-issued driver’s license to get an International Driver’s Permit.